These Clients came to us through Middleton Advisors prior to making an offer for the site. Again these Clients had a very adventurous "wish-list" as they wished to replace the existing dwelling with a new dwelling having a considerably larger floor area plus substantial outbuildings. The site was outside the village limits, was in the Green Belt as well as being the an Area of Outstanding Natural Beauty. In this case the Clients expectations were met by full exploitation of the Green Belt policies and by introducing a large basement contained within the whole footprint of the new dwelling. The scheme also included a replacement lodge which stood at the gated entrance, together with stables, a tractor shed, a workshop and a tennis court. 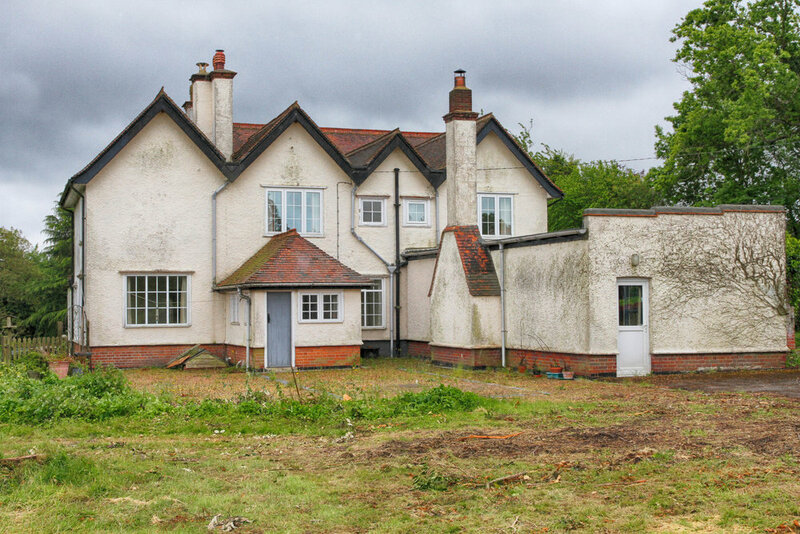 In the negotiations with Wycombe District Council there was a query over the limits of the "residential curtilage" but we were lucky to find the original garden plan in the old house as well as evidence on site that the garden plan had been implemented.